We have been taking the older kids to Carowinds this past few weekends and decided it was time to take the two year old. Small child and amusement parks are a fun mixture. 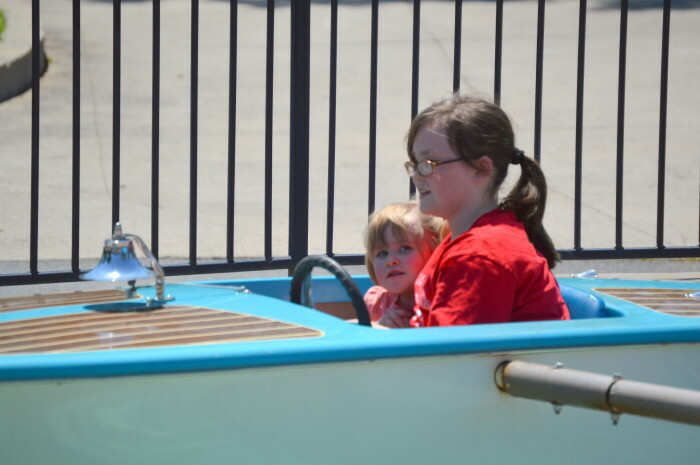 There is so much more to see at Carowinds than just the thrill rides that the smaller children can participate in. I’m not much a of coaster rider and neither are two of my three kids. I like to keep my feet planted firmly on solid ground they are like me. Still there is plenty for us to do at an amusement park besides the coasters. I hope you all understand the complexity of taking photos in such a crowded place and not getting anyone else’s kids in them… Not an easy task. 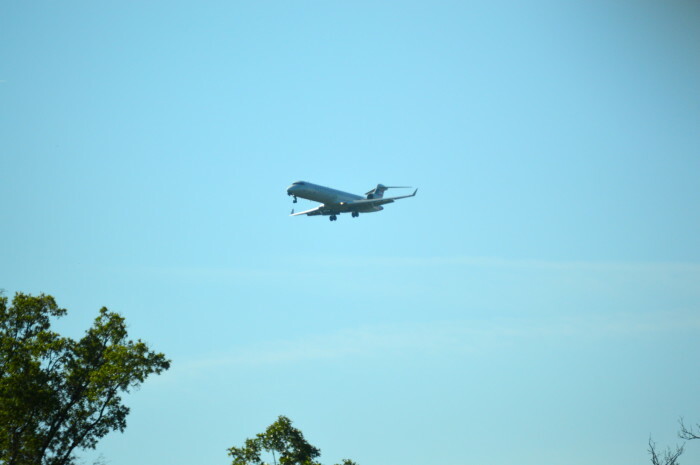 First thing you can look at all day is the planes flying into the local airport if you happen to get a chance to visit Carowinds. If you enjoy planes, you will have the time of your life. Bub kept pointing them out to us. “Look PLANE!” as if it was the first one he had ever seen and not the tenth that day. Check to be sure there are a good bit of rides for the smaller children. Although most of the rides we tried invoked terror in my small child, the other small kids seemed to enjoy them tremendously. My advice is don’t ever push them to ride a ride they haven’t picked or if they are acting hesitantly. Also if the rides involve water, warn before hand that the water is NOT for swimming in to avoid later disappointments. The swings are a please all and usually found at most amusement parks. They are designed to appease most children. When I say most, there will still be the child that finds them as scary as a marathon session of Friday the 13th. There is just something about being strapped into a metal seat and swung around in a circle. This ride is the only one my little one would tolerate but then again we could go back next week and she be begging us to wear 15 inch heels to get into the big rides. Never know with toddlers. The kids love seeing their favorite characters roaming the park or standing as a statue. Than again some kids are terrified of characters in costumes, don’t push them if they are reluctant but if they want to high five the giant Snoopy let them. They also usually have a show for kids. At Carowinds at the moment it’s Charlie Brown and something about baseball. I will not admit to the fact that I have seen this four times and have started humming the songs. Gooses, Geeses…. Every time I see geese I think of this Willy Wonka song. Ooops sidetracked. There may be nature life or animals around for the children to look at. Small children love seeing nature. Keep a look out. Most parks now have an abundance of water areas to try to keep their guest cooler and these areas are usually home to some form of bird. The carousel is a great ride for the whole family. From the little to the big, everyone can ride together on it. And naturally there is the actual watching of the roller coasters, from a safe distance on the ground that is. There are tons of games, rides, and eating establishments to add to the joy and wonder of going to an amusement park. If you do have small children, it would be a good idea to look up what type of rides the park has before hand. Have the map already in hand and a basic plan of action. If you have a wonderer who likes to wonder off, you may want to think about renting a stroller or bringing your own. Be sure your children follow the safety rules. I can’t tell you how many people I have seen letting their kids climb on things that should not have been climbed on while an employee was asking them nicely to get down. They aren’t trying to ruin everyone’s fun, they are trying to be sure you have plenty more time to have fun instead of sitting at the hospital with a cracked skull. Check to see if there are any shows. Small kids love a good song and dance number. It also gives you a chance to cool off while they are otherwise entertained. Sunscreen! My last tip is to cover that baby with sunscreen. There are probably going to be plenty of shade opportunities but standing in line for the rides even if they are covered still make for the perfect conditions to fry someone. Learn from my blisters and be sure to reapply sunscreen every 2 hours even if they aren’t sweating.